“NoGo” Part 1: So, you thought parks & other special protected areas were actually protected? “Protected Areas” – formally designated national parks and wildlife refuges – conjure images of wild and rugged vistas, unblighted by industry and commercial exploitation. Sadly, the reality is altogether different, and often both the spirit and reality of “protected” is violated by all manner of industrial exploitation. 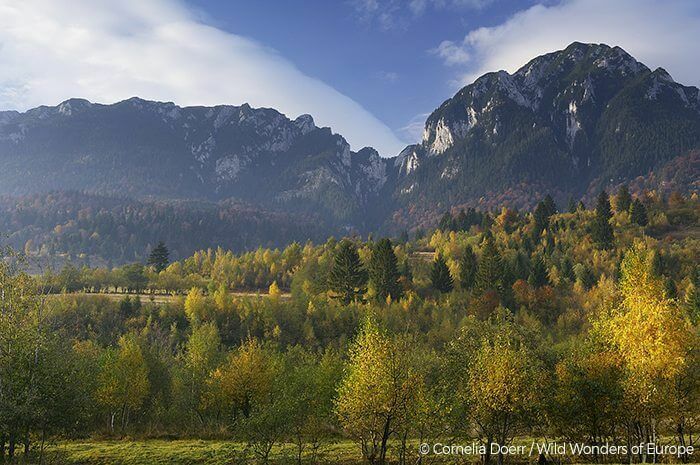 Piatra Craiului National Park and the surrounding areas in the Carpathian Mountains are threatened with illegal logging of old-growth forest. Examples abound, whether it is illegal logging in the forests of Indonesia or Amazonia, illegal commercial fishing in marine protected areas in the Pacific or off the coast of African countries, or mining in the parks, natural World Heritage Sites, and other “protected” areas of Australia, Botswana, South Africa, Colombia, the Congo, and even occasionally in North America. The case for industry in protected nature is pragmatic. 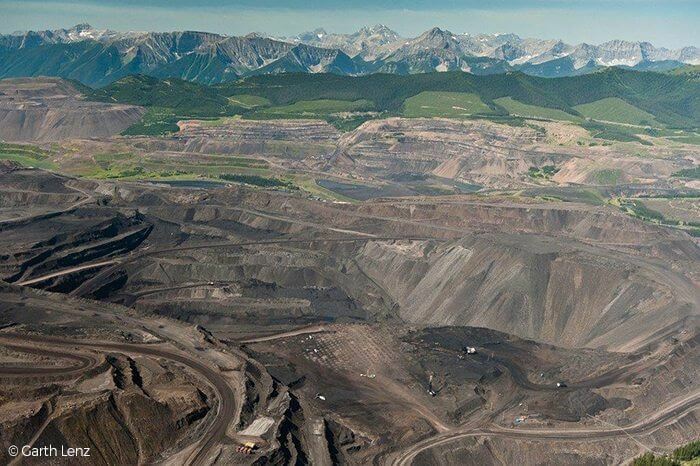 Some argue that commercial extraction can be “well managed,” others that it is a necessary trade-off to have protected areas in the first place (for example where mining existed previously and its continuance was a pre-condition for the area being declared as a park or reserve). Still, in most cases, exploiting these natural resources is simply a short-term revenue opportunity for governments, a graft-grab for corrupt officials, or a stream of illicit money for illegal operators…every such incursion both short-sighted and without regard for the true costs of extraction. Some of these activities are large-scale commercial operations, while others are considered “artisanal” mining and logging. Don’t let that descriptor fool you into thinking these miners are a small cottage industry. One study looked closely at 36 countries and found that artisanal and small scale mining was taking place either inside or along the borders of 96 out of 147 protected areas in those countries, and estimated that there are some 20 million artisanal miners at work within or immediately adjacent to protected areas in 80 countries. Yes, impoverished local people are scrambling for a meagre living, but they are virtually always driven by large, commercial companies and/or networks of unscrupulous traders whose encouragement (and financial underwriting) very often create deplorable working and living conditions for the miners, and catastrophic impacts on critically important biodiversity. The effects associated with these industries – infiltration of roads, widespread decimation of wildlife (the bush-meat trade), prostitution, irresponsible use of highly-toxic chemicals, despoiling water supplies, siltation of rivers, and more – create a hellish footprint of devastation for humans and nature alike. Mountain top removal for coal mining threatens many protected areas either directly or through resulting toxic run-off or deadly siltation. Mining and drilling isn’t inherently bad – in many cases it produces the core stuff by which our society runs and development proceeds. There are some good and notable examples of large scale extractive industries doing well by doing good. The luxury brand Tiffany & Co, and the one of the world’s largest building supply companies, Cemex, both have worked to create precedents for corporate ecological responsibility and sustainability. Also, the rise of purposeful, corporate environmental consciousness and practice such as that advocated by The B Team and others is a reason for hope. Yet we are still far from a truly healthy and responsible corporate ethic. The rate and extent of negative impacts from extractive activities within supposedly protected areas was a matter of significant concern over 25 years ago. Today, the problem is even worse and the irreplaceable loss of wild land-and-seascapes is accelerating, driven by the endless hunger for short-term profit benefiting narrow commercial interests who are robbing the future of a wild planet with all of its beauty and its irreplaceable life-supporting services, often aided by the seemingly unstoppable cancer of human corruption. In response, a simple term has emerged to advance an ever more critical need to protect nature and human well-being – “NoGo” – encompassing what should be naturally assumed about protected areas, sacred sites, and important areas for biodiversity. Some places are too important and need to be off-limits – in other words, NoGo – to any type of industrial extractive activities, whether it’s mining, drilling, industrial logging, industrial agriculture, major infrastructure such as dams, or any other destructive commercial activity in protected places. NoGo Part 1 – So, you thought parks and other special protected areas were actually protected? NoGo Part 3 – NoGo Now!